Veggies they’ll love to eat! One serving of vegetables - dried carrot, tomato and spinach in every 4 oz. portion. 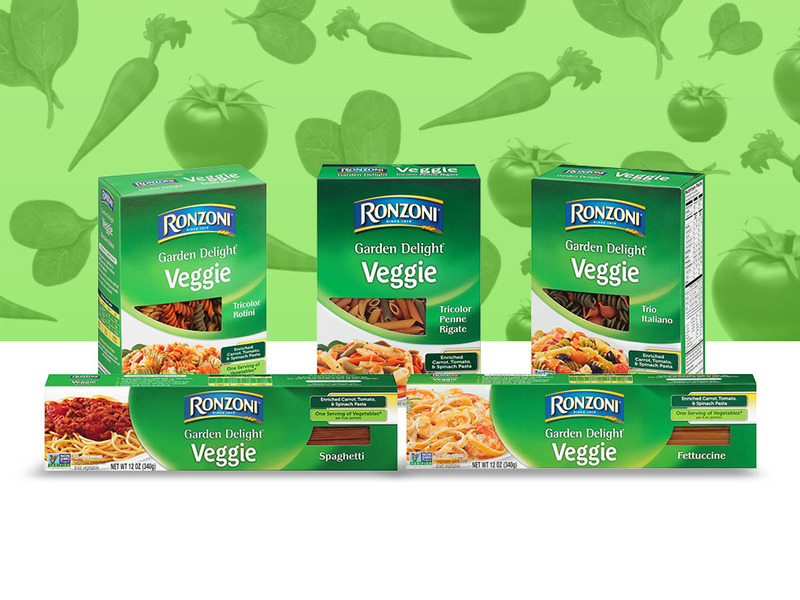 With a taste your family will love, Ronzoni Garden Delight® is sure to become your family's favorite pasta! One serving of vegetables -&nbsp;dried carrot, tomato&nbsp;and spinach in every 4 oz. portion.&nbsp; With a taste your family will love, Ronzoni Garden Delight<sup>&reg;</sup> is sure to become your family's favorite pasta!